There is an old saying that when you have bad customer service you tell EVERYONE about it, but when you have great service you might tell a few friends. Earlier this month I switched phone carriers and got stuck in crazy millennial hell with no cell phone service for 36 hours. I had both a great customer service and a bad customer service experience during this transition so I killed some time reflecting on how customer service is different in local government from the private sector. Our customers can’t simply leave local government services. In the private sector, I can avoid a store that I didn’t get good customer service at by going to its competitor. If a resident has a problem with the water department they can’t change water services. 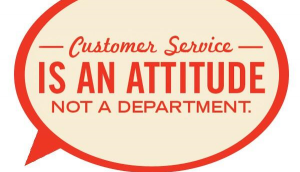 Bad customer service doesn’t just reflect on the department, it reflects on the entire city. It changes the way residents interact with the next staff member even if it a different department. These bad interactions build up and give the impression that the city doesn’t care about the residents who live there. A third difference is staff sometimes have to deliver bad news or enforce ordinances. No resident ever has been thankful for a ticket. Providing great customer service is challenging when people are mad and yelling at you or wishing bad things for you. While these are a few differences, it is important to think about how to mitigate and work together through these challenges. Customer service is a team approach. Everyone across all of the departments have to provide the best customer service that they can, even when the situation is challenging. Providing training on customer service, and de-escalating angry customers is one thing we can do to make things better. If they decide to leave a service, make sure it is easy for them to leave but also to come back. After all, a customer cancelling their rec center membership in July is a customer who needs a gym membership in January. Be helpful even if you are providing enforcement, knowing the resources that are available to make sure that the resident can get as much assistance as possible to resolve the situation. When you are a manager help your staff. Some staff are on the receiving end of angry phone calls a lot, and this can be a lot for them to take in day after day. Provide opportunities for self care, breaks and whatever else you can think of to help them.